Douglas Stridsberg Archive » Archived, Technology » Mac MSN Messenger Loses Focus – Solved! Mac MSN Messenger Loses Focus – Solved! The problem with MSN losing focus after sending a message derives from the latest beta of Safari, believe it or not. Safari Beta 4 installed a version of WebKit which apparently caused the text-area inside MSN Messenger to behave erratically. Download the Safari Beta from Apple’s homepage and mount it or unpack it anywhere. 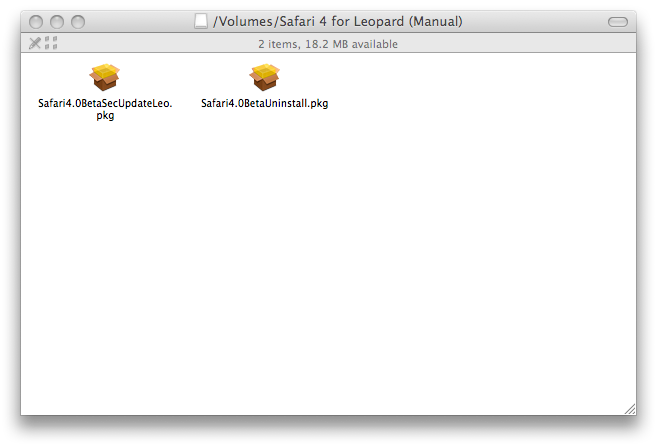 Open the Safari4.0BetaUninstall.pkg file and complete the steps necessary to uninstall the software. Note that after the uninstall, you will not have a working web browser unless you install another browser! After these steps and a restart your MSN Messenger should be working fine! ← Satellite TV on your PC – Does It Work?